Attendees from the discussion meeting between UNIST and Ulju-gun Council are posing for a group photo at UNIST. The meeting invites Chairman SungRyul Han of Ulju-gun and 8 other council members. 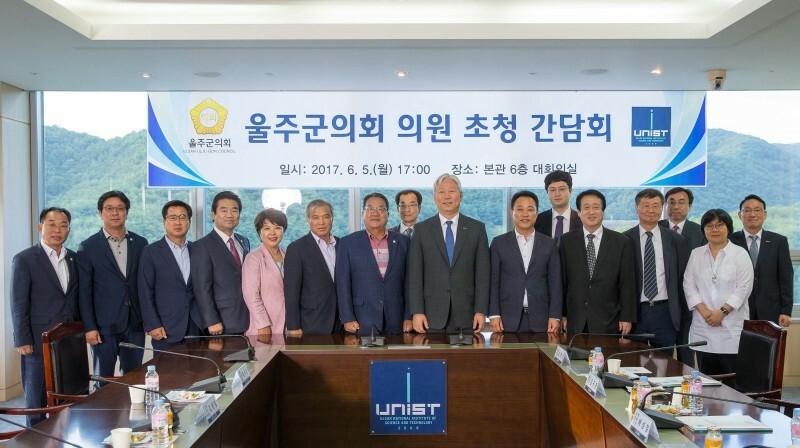 On June 5, UNIST held a discussion meeting with Ulju County Council, inviting Chairman SungRyul Han of Ulju-gun and 8 other council members. The primary purpose of this event can be seen as an opportunity for UNIST to thank the Ulju-gun and the members of the Ulju-gun council for their endless support and interest in building UNIST, a world-class university specialized in science and technology. 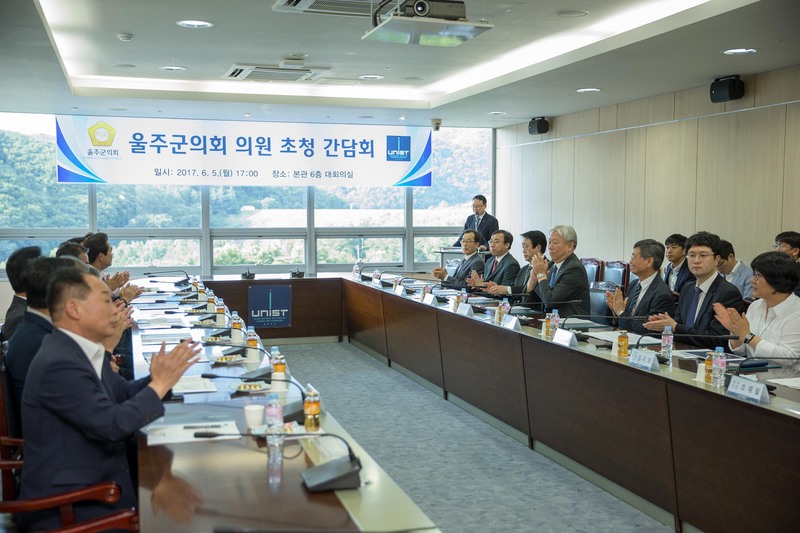 During the course of the meeting, President Mooyoung Jung of UNIST emphsized that UNIST’s outstanding research capabilities is one of the reasons for its recent successful transition from a national university to a goverment-funded research institute. President Jung also addressed UNIST’s goal to become one of the world’s top 10 S&T specialized universities by 2030. 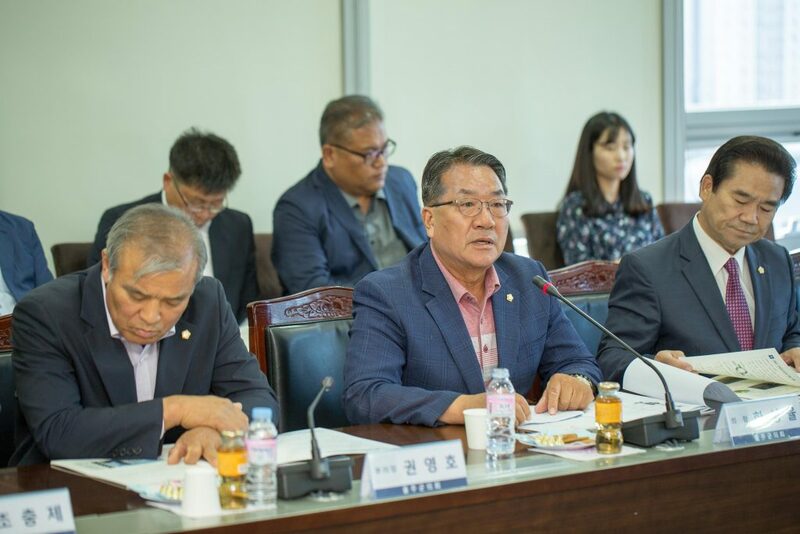 Chairman SungRyul Han of the Ulju-gun Council is speaking at the discussion meeting, held in the main conference room of the UNIST Main Administration building in the afternoon. The meeting was followed by a student-guided campus tour, including a visit to the Industry-Academia Battery R&D Center at UNIST and a look at several academic facilities. Each year, Ulju-gun provides development funding of nearly KRW 5 billion to UNIST. In turn, UNIST has been actively providing a wide range of educational and mentoring programs for science-gifted students in Ulju-gun, which also includes the annual community volunteer works, as well as various cultural performance programs.